With Memorial Day, summer’s first “bookend” arrives, for a season that marks its midpoint with the 4th of July, and wraps up — practically speaking — with Labor Day. Graduations, Dad’s day, weddings and fireworks (hopefully those last two can be kept distinct!) are all ahead, as is all that travel. A couple of articles on the flying-and-card-use front jumped out at us this week — perhaps we’re getting restless to hit the road, or the skies, ourselves. In fact, according to the LA Times, airlines have been doing so well, they’ve been losing bag fees they usually collect! What do we mean by that? Well, it’s because these same airlines have been pursuing consumers with their own branded card offers, each with various built-in “rewards” for flying with that particular carrier. Among the rewards offered — incentives like the waiving of bag fees for the first year of a card’s life. Thus, “airlines made 4% less on baggage fees in 2013 than in the previous year, according to federal statistics released last week,” the article notes. However, “carriers are most likely collecting enough revenue from their credit cards to make up for the loss of the waived bag fees,” the article continues. The article notes that the airlines may be doing better than the banks, in terms of that “cut,” but it also brings to mind how “card-use enthusiasm,” to coin a phrase, can be increased by offering customers rewards and perks. And while your business may not be in a position to waive airline fees, you can consult with your AVPS rep about offering reward cards to your own “frequent flyers.” Of course, any incentives for getting them to use plastic, whether you’re mobilely processing cards or taking orders online, will not only be appreciated by them, but help further drive sales. Among the tips were bringing along any cards that are already EMV-chipped, since that’s the standard in most other parts of the world (though your mag-striped American card will usually be accepted on the road), being sure you knew which upgrades for hotels room, etc., were available depending on the card, and checking which cards — debit or credit — have the lowest currency conversion fees, when you’re purchasing outside the U.S.
“Among the best freebies,” according to the article? “Coverage for lost or damaged checked baggage, up to $500 beyond what you might receive from the airline. 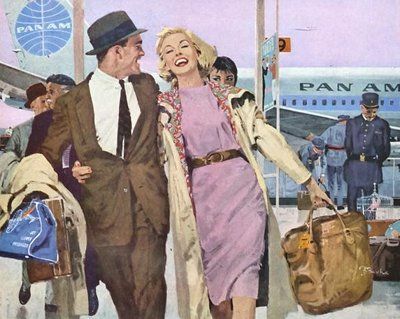 Most U.S. airlines will cover up to $3,400 in cases of lost baggage,” but certain items — family heirlooms, portable technology — can be excluded, so the “bump” from your card provider could make a difference. Of course, if the check-in fee for that baggage was waived to begin with, even better! That’s where we came in! Summer’s calling to us, too — even if we’re only going as far as the grill a few steps away. Happy trails, and we’ll see you next week.